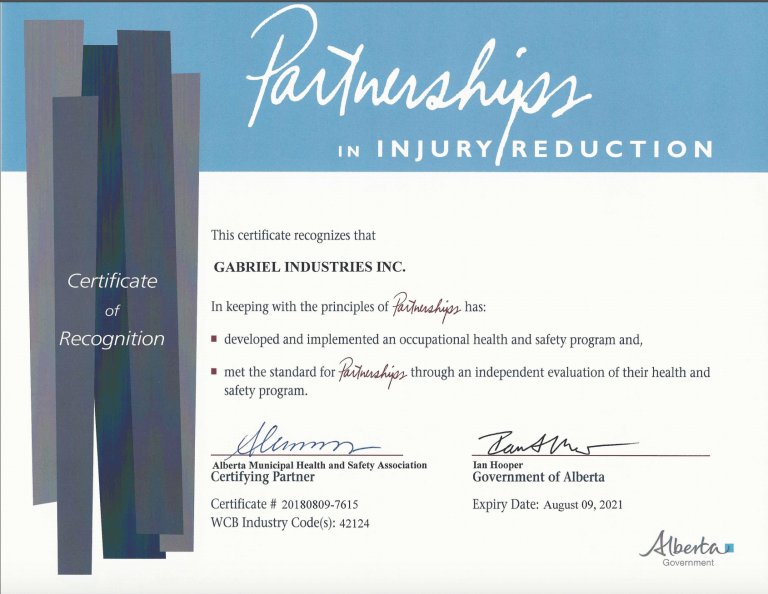 Safety is an integral part of Gabriel operations. We are committed to providing safe worksites and a healthy environment for all. Employees at every level take responsibility and are accountable for the company’s overall health and safety initiatives. Complete and active participation by everyone, every day, in every job is necessary for the health and safety excellence the company expects. 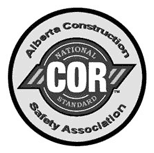 Gabriel Industries Inc. is extremely proud to inform our existing and potential clients that we are now COR certified and, we are dedicated to maintaining a strong and effective safety program. An incident free workplace is our goal. Through continuous health and safety efforts, we strive to achieve this.